Our hygienists, Lisa and Stacey are highly qualified, very well liked and respected by our patients. We frequently get very favorable comments about them both. Because we want your visits to be comfortable and enjoyable experience, both Stacey and Lisa are certified by the State of Maine to administer local anesthesia. In addition, they are very gentle. Lisa is our longest serving employee with over 15 years of practice as a hygienist. She came to our office following 7 years in a busy restorative practice so she has significant experience in all aspects of dental hygiene and is very good at her job. 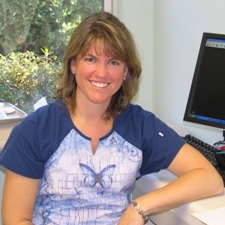 She viewed her move to our perio office as "one of the smartest choices of my life"! Lisa will put you immediately at ease and is capable of superbly managing all aspects of your recall, periodontal therapy or radiology visit. When she is not here, Lisa enjoys participating in all the busy activities of life with her husband and two sons. 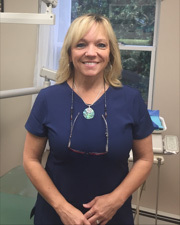 Karen has been involved in dentistry since the age of 14 in various capacities; cleaning a dental office, as an assistant and now as a hygienist with more than 15 years' experience. 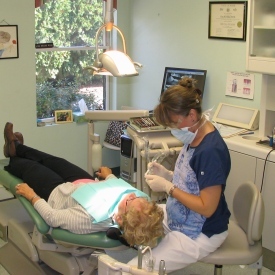 She has a wide range of dental knowledge which she enjoys sharing with her patients. Karen lives in Raymond with her husband Jeff and two dogs. She enjoys photography, spending time with her grandchildren and enjoying her camp in northern Maine.